Building a new home is the perfect opportunity to get exactly what you want in a home. However, it can be costly. 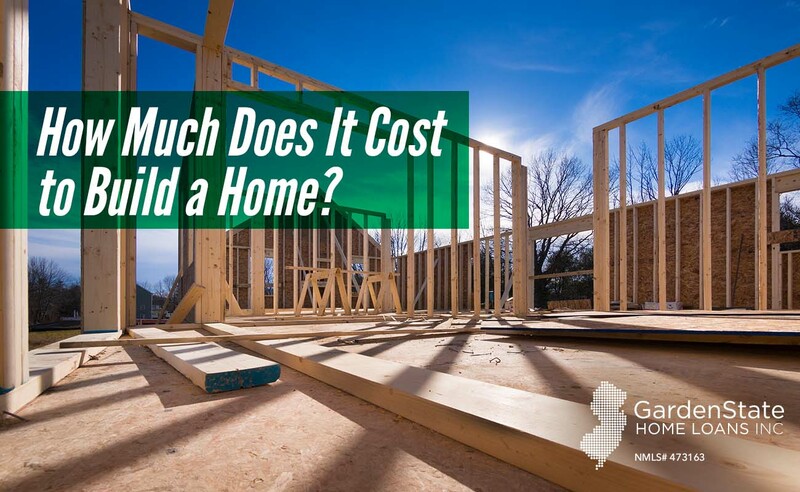 Here is a breakdown of typical costs associated with building your own home. A custom construction allows you to build a home to meets your exact needs. However, they are costly, both in terms of money and time. To construct a custom home, you will need to hire a residential architect. Hiring such a professional can cost anywhere from five to fifteen percent of your construction costs. Generally, a custom home costs approximately $100 – $400 per square foot, but can vary based on location and materials used. For this type of home, premade walls are fastened to the floor of the home. These panels are cheaper to transport than the materials for a modular building. Some builders may even install features such as sinks and toilets before installing the walls. This can speed construction time and reduce costs. Modular homes are created in sections and then assembled on site. They offer additional design options to open crowded areas. However, most modular homes do not have the option of porches and garages. Many people opt for a combination of modular and panel buildings to get designs not available with solely a modular design. The cost of your materials will vary based on the type and size of your home. The region of your home can also change the amount you are paying for materials. The professional you hire should be able to provide you with an estimate of how much your materials will cost. Machine costs will depend on what your hired professional owns and what they need to rent. The size of the home and location will also affect the costs. If you are planning on building on rocky or unleveled land, that will require specialized machinery, which will increase costs. Typically, builders will use backhoes that have necessary attachments. These usually cost between $70 and $90 per hour. This includes excavating, pouring, and backfilling. Framing dictates the size and location of rooms. This includes the overall home frame, trusses, and general metal work. This includes exterior walls, roofing, windows, and doors. Major systems are plumbing, electrical, and the HVAC. Interior finished include insulation, drywall, interior trim, lighting, appliances, paint, flooring, and plumbing fixtures. https://www.gardenstateloans.com/wp-content/uploads/2017/12/cost-to-build-a-home.jpg 800 1300 Dori Gelman https://www.gardenstateloans.com/wp-content/uploads/2017/05/fb_logo-300x141.jpg Dori Gelman2017-12-21 09:30:372017-12-21 09:08:53How Much Does It Cost to Build a Home? What Type of Loan is Needed for a Prebuilt Delivered Modular Home? 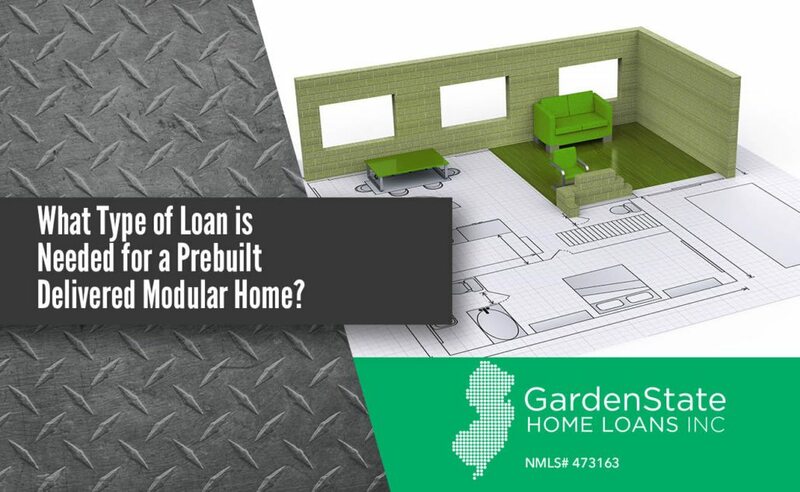 In order to get a loan for a prebuilt delivered modular home, you will need a construction loan. A construction loan is a short-term loan that usually lasts no longer than a year and is paid off as different parts of the house are completed. After the construction is complete, and an inspector makes sure the house is well built, your home will be approved as livable. After this, you can move forward on applying for a mortgage. 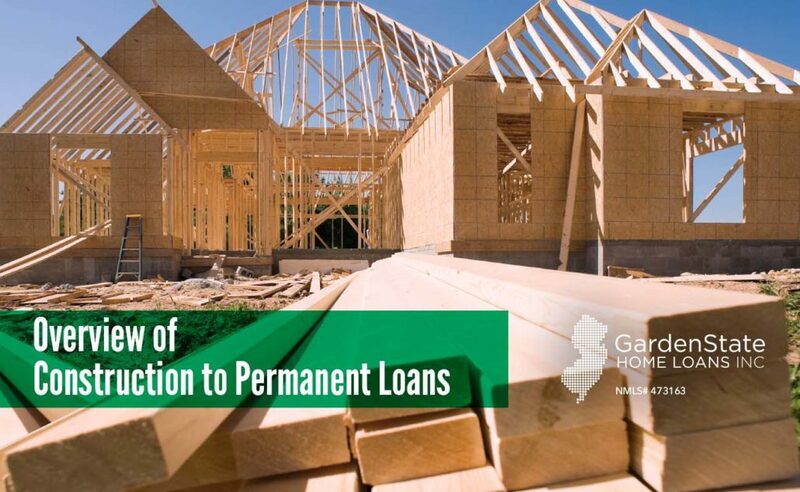 A lot of lenders offer a package loan, called a Construction-To-Permanent Loan. With this program, you get a construction loan while the home is being built, and then, after the home is built, you get a mortgage. This saves a lot of time and reduces the complications of getting two separate loans. Some lenders do not offer this package, which in that case means that you would have to get a new mortgage loan with a different lender after paying your construction loan. This is a longer process, but will still work out for you in the end. By providing financial information and credit history to your lender, they’ll be able to give an estimate on what they’re willing to lend. In addition to an estimate, fees and interest rates will be included in this report. Remember: this isn’t a guarantee for a mortgage or specific dollar amount. When applying for a construction loan, you will want to go to several different lenders and see who offers the best rates and packages. Once you do this, you can get pre-approved for a loan and then look for land to build your new home on. A formal commitment letter will be sent to you regarding the loan amount from your lender. This may contain conditions that will need to met before the loan can close and before construction to start. This may need to be shown to your manufacturer or seller of the lot before the final contract is signed. After the disbursement schedule has been finalized, along with the restrictions and conditions, the lender will sign the final loan documents at the closing of the loan. Once they are signed, you’ll need to pay closing costs. More fees will apply when you switch over your construction loan over to a mortgage. It’s also a good idea to ensure your local government has given you a building permit. If not, it is recommended that you hold off on transferring between loans. Now that you have secured your loan and have the money… It is finally time to start building! You already have a disbursement schedule so there should be no confusion on when each part of the house will be done and how much money you will be spending. Everything is in place financially and now it is only a matter of time before your brand-new home is built. 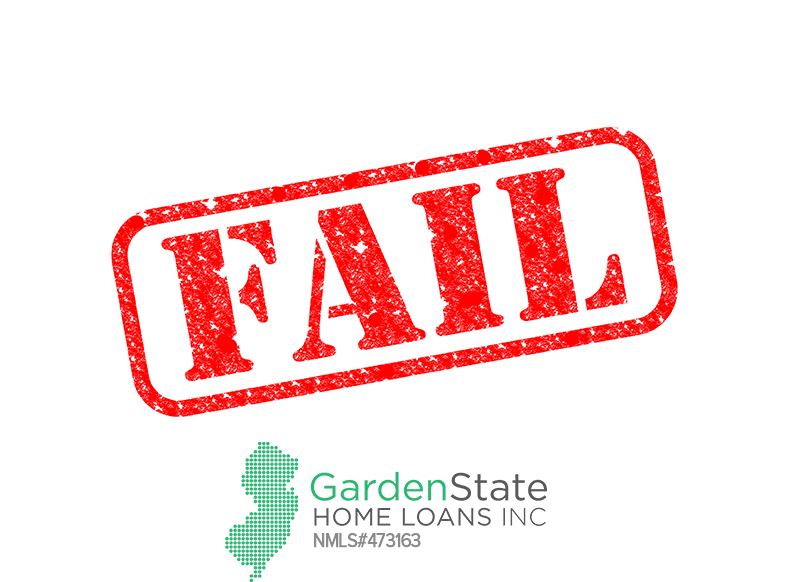 If your lender only gave you a construction loan, instead of a construction-to-perm loan, you will have to get another mortgage loan with a different lender. If your lender does offer a construction-to-permanent loan option, then you’re all set! Enjoy your new home. https://www.gardenstateloans.com/wp-content/uploads/2017/07/Loan-for-prebuilt-modular-home.jpg 800 1300 gardenstateloans https://www.gardenstateloans.com/wp-content/uploads/2017/05/fb_logo-300x141.jpg gardenstateloans2017-08-01 11:45:232017-08-01 11:45:23What Type of Loan is Needed for a Prebuilt Delivered Modular Home? If you’re having a home built for you, it’s important to understand how to obtain the proper financing. More than likely, it will be worth your while to look into a construction to permanent loan. A construction to permanent (CP) loan is essentially two loans in one: it allows you to combine financing for the construction of your new property— or for major renovations on an existing one— with your permanent mortgage. With a CP loan, payments will be made by the lender to cover the costs of the construction or renovations. During this time, the borrower will pay interest only on the outstanding balance of the loan. Once construction is finished, the loan will be converted into a permanent mortgage. On the surface, the structure of a CP loan seems fairly simple, but there are a number of steps along the way before the construction loan is converted into a permanent mortgage. For many borrowers, the application phase will be the most overwhelming stage of the CP loan process. There are a number of steps to complete before construction can begin, which often makes this phase the most hectic. 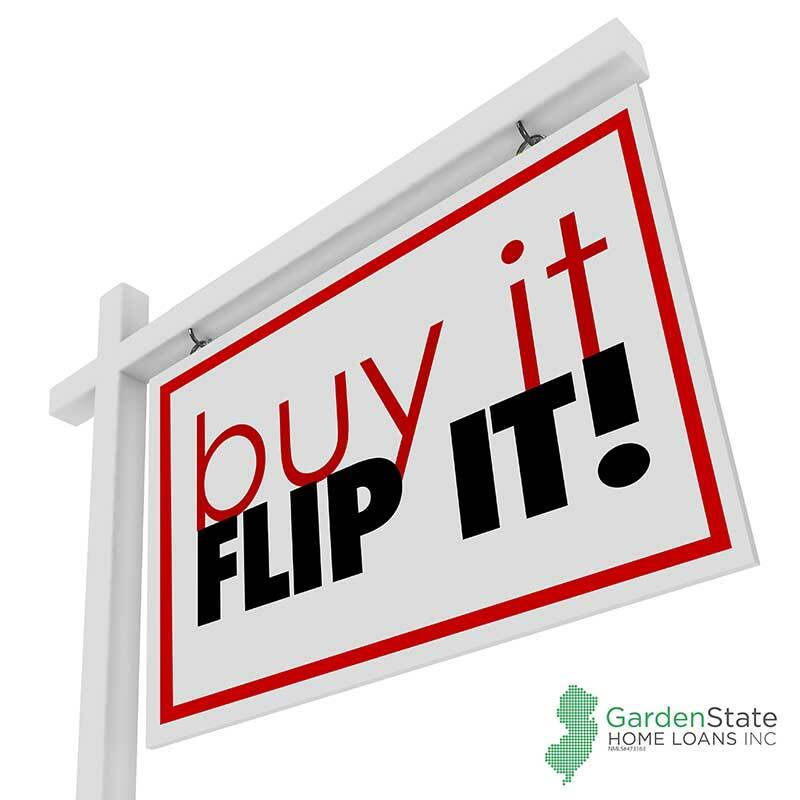 A lender will want you to have a builder already selected, as well as an appraiser to review your property, plans, specifications, and comparable homes in the area to determine the value of your home. Following this, the lender will work with you to create a disbursement schedule to determine how and when construction payments will be made. After a schedule has been finalized, and assuming the builder has received the lender’s approval and signed a construction loan agreement, the lender will contact your closing agent to ensure clear title to your property. Assuming all has gone well to this point, the lender will prepare the final approval and the loan will be ready to close. It’s important to note that it is during this phase that the interest rate for your loan is set. The rate will lock at closing, so even if rates improve (or worsen) during construction, you will still pay this rate on your permanent mortgage. This period consists of the actual building process of your home that is associated with your loan. Once you have been approved, you will then start to receive the payments from the loans. Here the contractor working on your home will provide multiple invoices to the lender throughout the entire construction process. The lender will then provide the contractor with the funds for both their labor and the projects completed. It is essential to make sure both you and your lender are regularly checking up and inspecting the work area of your home to make sure that the contractor is completing the work accurately and within the guidelines of your loan. The conversion phase is the final stage of the process, in which your loan is converted into a permanent mortgage. Like any other mortgage, you can choose from a variety of loan options, such as fixed-rate or adjustable, a 15 year or 30 year mortgage, etc (But remember: the interest rate on the mortgage was set at the initial closing). At conversion, the borrower will have a handful of fees to pay. These include the initial escrow of homeowner’s insurance and taxes, prepaid interest for the permanent mortgage, any unpaid interest due from the building phase, and additional title fees if necessary. Following conversion, the CP loan process is complete and you will begin regular monthly mortgage payments. A CP loan has many advantages over the alternative— a stand alone construction loan. It is important, however, to evaluate all of your options before determining which type of loan is best for you. Below is a quick list of the pros and cons associated with a CP loan. CP loans can provide you with many great opportunities and advantages. For example, even though this loan is essentially two loans in one, you only have to close on it once. This does not only save you a great deal of time, but also saves you money. It also is a lot less stressful and complex to only deal with one loan. In addition, you can take advantage of being able to lock in your interest rate with a construction to permanent loan. For example, if you lock in with a low interest rate and during your construction process the interest rate increases, you do not have to worry because you are locked in. Also, should anything happen during the period of construction, such as a drastic drop in income, you don’t have to worry about re-applying for a mortgage. Although CP loans are often more affordable than stand-alone construction loans, as a result of saving on closing costs, this is not always the case. CP loans often require a downpayment of at least 20%, whereas stand-alone loans do not. If you do not feel comfortable making a downpayment of at least 20%, you may consider a stand-alone loan the superior option. The early rate lock on a CP loan, while sometimes a blessing, can also be a curse. If interest rates drop during the time of construction, you will still have to pay interest at the higher initial rate. The purchase of a home is always contingent on a home inspection. During a home inspection, a professional comes to the property and thoroughly inspects the house, looking for anything that may seem troubling. A house or home inspection is one of the most common parts of a purchase agreement. Before deciding on a home inspector, be prepared to ask these questions to determine whether or not they are the right person for you. What types of properties have you inspected in the past? It’s important to know that the date your home was built may lend itself to certain issues. If your home was built between 1900 and 1950: Knob and tube wiring was used in fuse boxes, and is inadequate to cover the weight of today’s appliances. If your home was built between 1942 and 1958: During this time, Orangeburg piping was used to make a sewer line connection to the main sewer line. The cost of these repairs can cost between $2,000 and $5,000, or more. If your home was built between 1984 and 1990: ABS piping was made out of recycled plastic, which was produced by five manufacturers. This type of piping has a tendency to crack within the glue joints. If this type of piping is used in your home, it can be extremely costly to fix. If your home was built between 1990 and 2000: Your home may have a NOX rod consolidated furnace. This type of furnace has heat exchangers that can crack and release carbon monoxide into the home and potentially cause fires. No matter when your home was built, the most commonly found issue during the inspection process is moisture and drainage. This is the leading cause of major structural damage, toxic mold, and dry rot. Major indicators that a home may be suffering from these types of damages are moisture stains around the ceilings, walls, or windows, a worn roof, or water pooling under or by the foundation. Home inspection not only important, but it’s a necessary step in the home buying process. Always make sure that your home has been inspected and that everything in the house is up to par with current standards. New Construction? Forget FHA 203k. Home buyers looking to purchase new construction using FHA financing will have more hoops to jump through than those purchasing through conventional (Fannie Mae/Freddie Mac) financing. If you want to use FHA financing to purchase new construction, you need to be aware of a number of issues that can trip you up. First, you must have a certificate of occupancy (C.O.) certifying that the property is complete and move-in ready. If you do not have this, then you typically cannot use FHA. 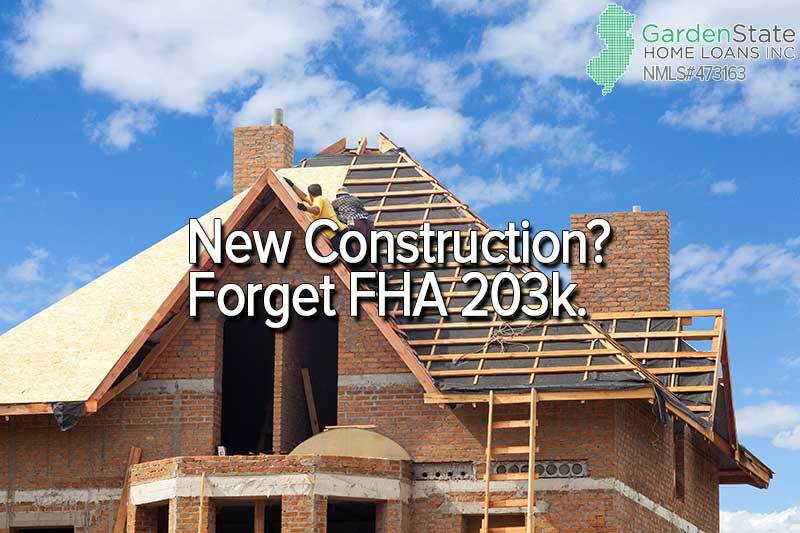 You’ll need a renovation loan, but an FHA 203K will not work in this case. If you plan on using conventional Fannie Mae/Freddie Mac financing, you’ll still have hoops to jump through, just not as many as FHA. You’ll also have a higher down payment requirement and the credit qualification guidelines tend to be stricter. Whether FHA financing, conventional financing, or renovation financing, it’s important to have a qualified home-buying team in place that can lead you through the maze of paperwork and negotiations. https://www.gardenstateloans.com/wp-content/uploads/2017/04/new_construction.jpg 533 800 Dori Gelman https://www.gardenstateloans.com/wp-content/uploads/2017/05/fb_logo-300x141.jpg Dori Gelman2017-04-24 11:35:052017-05-08 10:55:32New Construction? Forget FHA 203k.